This casino terms quiz at gamerisms tests your knowledge of casino terms lingo and jargon spoken by casino players worldwide. At gamerisms, we have found a collection of unique and fun terms to challenge both newbies and veteran players alike. If you are looking for more info about online gambling, check online-casino.ca frequently asked questions and score 100% next time! 1) What is a Dime Bet made by casino players? A. You are betting $1,000. B. You are betting $100. C. You are betting $10. 2) What is the Handle in casino terms? A. Using the handle of a slot machine rather than the spin button. B. Total amount of money bet. C. Maximum bet at a table that the casino can handle. 3) What is the Hold in casino terms? A. The vault in a casino. B. Winnings held by the casino for tax purposes. C. Percentage of monies played that casinos keep. 4) What is the Barber Pole when playing casino games? A. Lingo referring to the 3 colors at a Red, White & Blue slot machine. B. More than one denomination in a stack of chips. C. The board that shows the history of bets at a Roulette table. 5) What is a Sleeper Bet in casino terms? A. Table bet made without strategy—a ‘tossed’ bet. B. A forgotten table bet. C. Bet with long odds that pays. 6) What does 'Down to the Felt' mean to casino players? A. Playing the don't bet or dark side of the craps table. B. Placing a toke or bet for the dealer at the craps table. C. Lingo for busted or broke in casino terms. 7) What does RFB mean in casino terms? 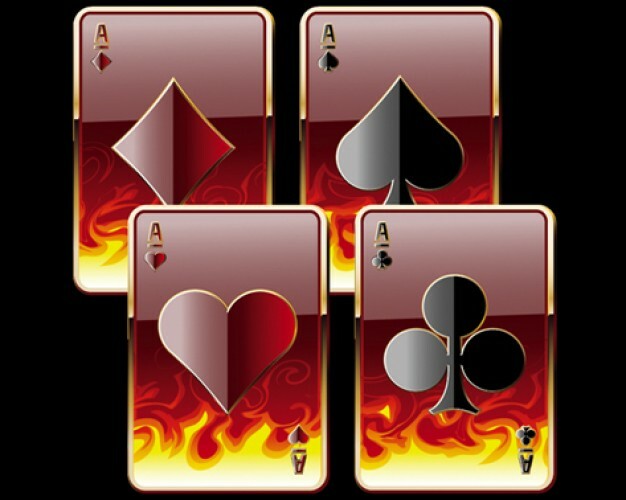 A. Royal Flush Bet when 4 parts are dealt in Video Poker. B. Room Food Beverages, the best comp value. C. Random Football Bet in sportsbetting where you bet your favorite team instead of studying the stats. 8) What do casino players mean by the term Underlay? A. Amateur blackjack player being coached by a pro. B. Area under the casino games tables where the cash holds are located. C. Casino lingo for a bad bet. 9) Casino players known as George do what? A. George is a generous tipper. B. George is a lurker who watches a game like blackjack, also known as Curious George. C. George plays craps only. 10) What is a Dept. of the Interior Casino Player? A. Lingo for player who has inside information about the race/bet. B. Poker player who has bagged an inside straight. C. Lingo for a craps player who makes an inside bet. Casino Terms Quiz Answers. What's your casino lingo rating? 1) A. Dime Bet: Casino players are betting $1000. Quite a bit more than B and C, yes? 2) B. Handle: Total amount of money bet at a casino games tables or slot machines. 3) C. Hold: percentage of monies played that casinos keep. For example, the looser 98% slots hold two dollars while returning 98 dollars to the player over the long term. 4) B. Barber Pole: Lingo used for more than one denomination in a chip stack. 5) B. Sleeper: A forgotten table bet originally wagered by casino players and/or dealers. 6) C. Down to the Felt: Busted or broke in casino terms. 7) B. RFB: includes free room, food and beverages while playing casino games. 8) C. Underlay: casino lingo for a bad bet. 9) A. George: A generous tipper both to table dealers and to other casino employees. 10) C. Lingo for a craps player who makes an inside bet. Along with Casino Terms Quiz, there is Casino Terms 2 at gamerisms.